Born in late July so still a baby of just 3 months, but already learning some basics. 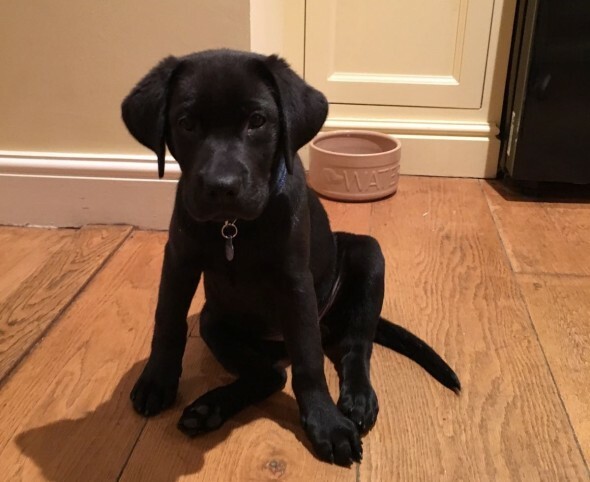 Mostly at this stage it’s about calmness and instilling a few boundaries – two things that don’t necessarily come naturally to puppies or to very excited owners! All the ‘formal’ training was delivered in 5/10 minute sessions – pups this age really can’t concentrate for longer. But the boundaries et al can be done routinely throughout the day. Interspersed with plenty of sleeeeeeeeeeeeeeeep time, obviously!